ELPEN Pharmaceutical (ELPEN) is a leading Greek pharmaceutical company which specialises in branded generics. 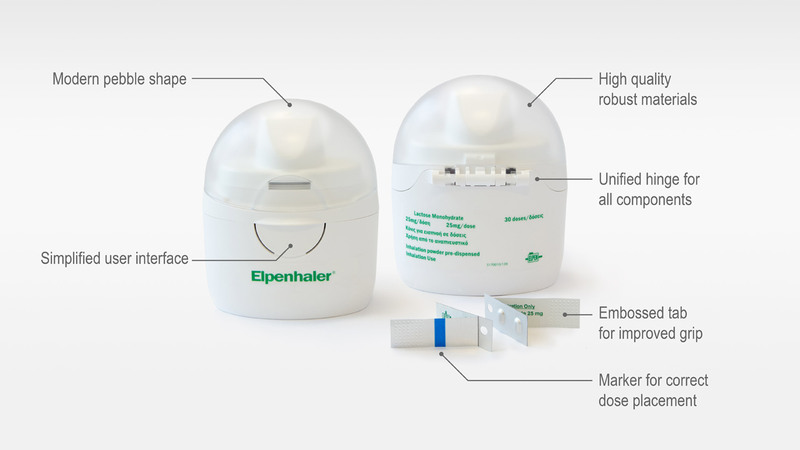 Elpenhaler® is ELPEN’s propriety classic DPI device, developed to administer various medications for the treatment of asthma and COPD (Figure 1). Each dose of medication is packed into the blister of an alu-alu strip, which is loaded into the device by a patient and inhaled. 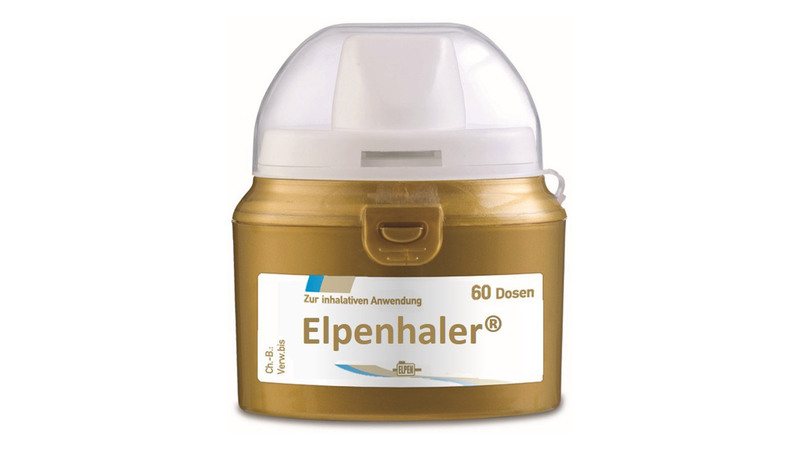 Elpenhaler® is liked by patients for its ease-of-use, large mouthpiece and reliability, as via the visual and taste verification, they are confident that they have inhaled their medication. ELPEN approached Cambridge Consultants to partner in the re-design of their device. The project started with meeting ELPEN’s commercial, regulatory and technical stakeholders to define the project scope: to update Elpenhaler®’s ‘look and feel’ to better align with their brand and make usability enhancements without changing the device’s performance characteristics such as operational steps and drug delivery performance. To identify usability enhancements, we used a human factors method called PCA (Perception/Cognition/Action). We analysed the device’s use steps to gain a deeper insight into the root cause of possible use related errors. Subsequently, we identified high impact areas of enhancements. These comprise making the use-steps more intuitive by adding a visual marker to the blister strip and adding an embossed feature to the blister strip tap, improving grip for easier peel off. 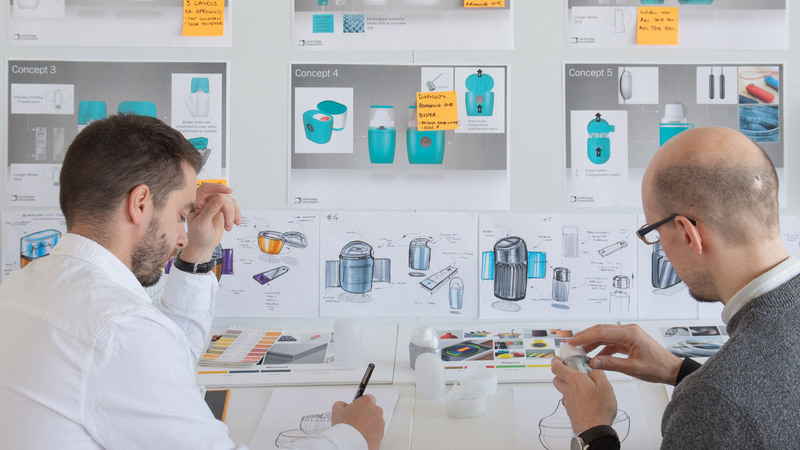 During a workshop with ELPEN we analysed Elpenhaler®’s design from numerous perspectives. There are myriad factors that affect the perceived value of an inhaler from the way it ‘looks’, to the way it ‘feels’ or even the way it fits within a patient’s lifestyle. We concluded that Elpenhaler®’s ‘look’ did not convey the company’s brand essence - improving patient’s lives through innovative ideas. We agreed a series of brand attributes which better described the ELPEN brand to inform the design of the ‘look’ and brand experience for the next generation device. 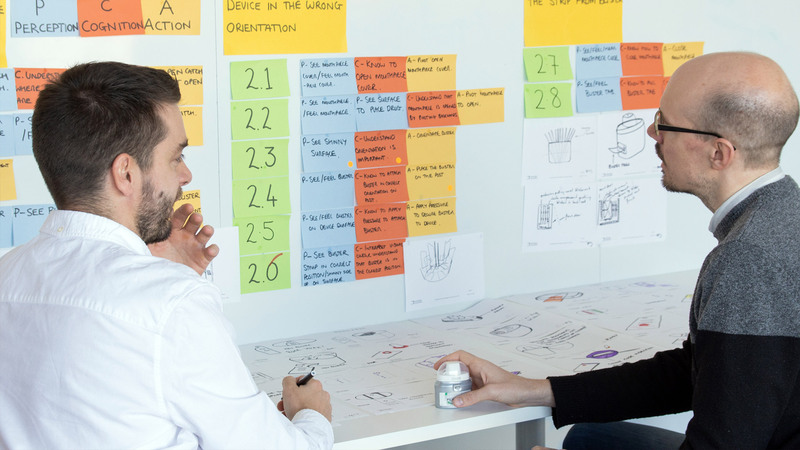 After developing the usability improvement ideas and defining the ‘look’ and brand experience, our team explored a range concepts through sketching, 2D renderings and handling models. A range of concepts with different levels-of-change (mild to wild) were presented to ELPEN and to patients and health professionals for assessment, from which a single concept was selected. The selected concept offered a range of enhancements which were viable for ELPEN’s requirements. A single pin for all pivoting components with a simplified user interface that was more intuitive and could be tuned to give a high quality ‘feel’. The selected direction in terms of ‘look’ was a modern but friendly design with angular split lines cut into a pebble shape which offered improved portability because of its soft form. Our designers and engineers collaborated closely during the detail design phase to balance design and functional trade-offs. Much of the refinement focussed on the cap and blister compartment opening functions, with the team aiming to find the balance between ease-of-use and robustness against opening when dropped while considering manufacturability. As part of the engineering process we undertook finite element analysis, functional tolerance analysis and risk assessments including product failure modes and effect analysis (FMEA). The final design has two independent but intuitive closures, with clip designs and material thickness optimised to get the ‘feel’ just right whilst retaining device robustness. By getting the engineering team invested in ELPEN's product vision we were able to achieve the usability, functionality and manufacturability without compromising the value of the design. Our engineering phase included a range of activities to improve the concept's DFM (design for manufacture). Working closely with ELPEN’s toolmaker and internal manufacturing team, throughout detail design, allowed us to optimise the design for assembly and hit our cost per unit target. 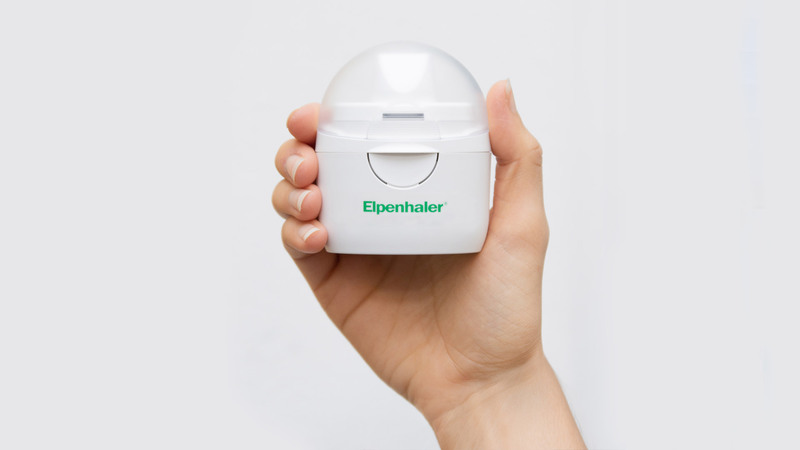 The Next Generation Elpenhaler® is a modern and easy-to-use inhaler reflecting ELPEN’s brand. 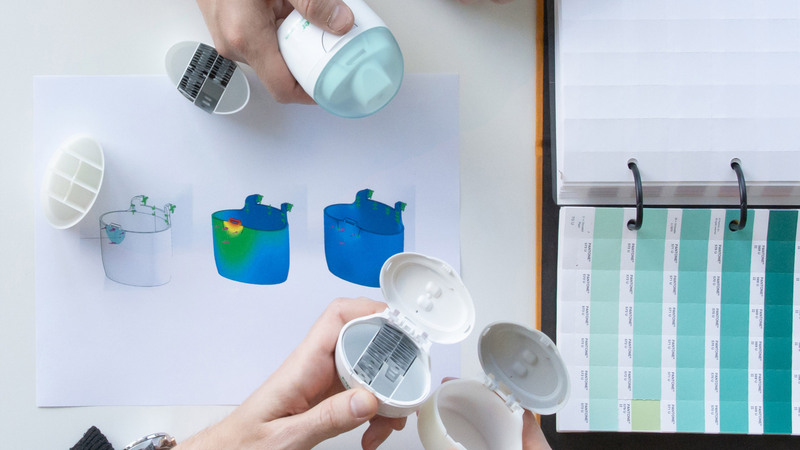 We have already received positive feedback about the upgraded design of Elpenhaler® and we expect it to boost our growth aspirations for the years to come. Konstantinos Pentafragkas, Managing Director, ELPEN Pharmaceutical Co. Inc. 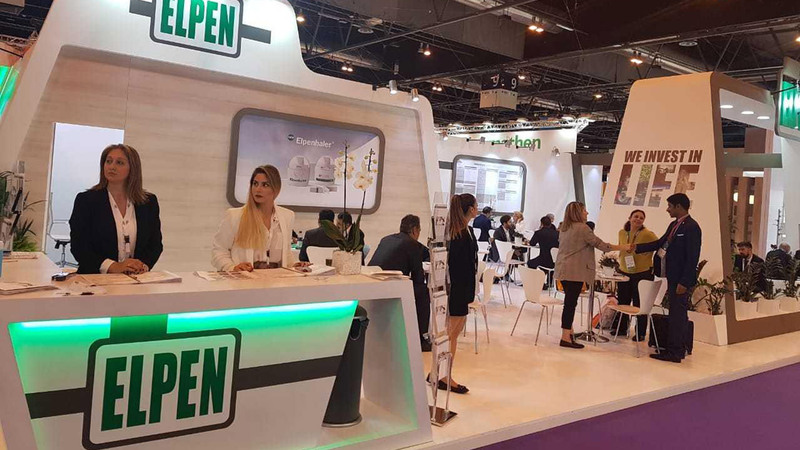 The Next Generation Elpenhaler® was launched in Europe in 2018 and is expected to become available in additional territories soon. Earlier in the year my colleagues in our MedTech team and I published an article on how digital has the potential to transform the lives of COPD and Asthma sufferers around the world.